Some 400 years have passed since Bill Shakespeare wrote Henry's famous rallying cry, but the words will strike a chord with the Football Association this week. As the four-man Club England board work through their shortlist of candidates to succeed Fabio Capello, one name will stand out - written in bold type and underlined. Twice. It is a name fit for a king and, judging by the reaction of pundits, press and public alike, it is just a matter of time before "Harry" receives his coronation and leads England into the European Championships this summer. The '+' column next to Redknapp's name has more ticks than a sctrach-crazed dog: Experienced - check; the right age - check; success at club level - check; motivator - check; respected by players - check; liked by media - check; public support - CHECK. The nature of the English football beast dictates that a new manager be as dissimilar to his predecessor as possible: tub-thumping Keegan; ice-cool Eriksson; players' mate McClaren; disciplinarian Capello. But the Italian's failure to grasp the English language and football culture is not the only reason why his successor will be from these shores. The most compelling argument for selecting an English manager is tucked away far from the current glare of the media spotlight in the tranquility of rural Staffordshire. St George's Park opens for business this summer and with it the Football Association steps into a new era. The 130-acre site, situated just outside Burton-upon-Trent, will provide a base for the new England boss and his team, along with all 23 other national sides. 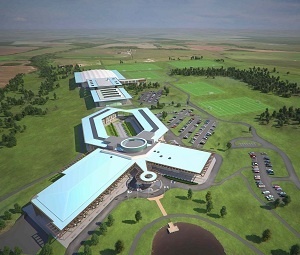 It will contain a full-size indoor pitch, 11 outdoor pitches and a state-of-the-art sports medicine and science centre but, more importantly, will also play host to the FA's Football Development and Learning branches, becoming the FA's self-entitled “university of football”. The FA want St George's Park to become their coaching mecca - the focal point and shining centre-piece of a structure that will churn out quality homegrown coaches and managers for years to come. The centre will provide thousands of courses to improve the quality of coaching from the grassroots - 80% of attendees will come from the amateur game - to the elite game, as an increased number of coaches progress along the coaching pathway. 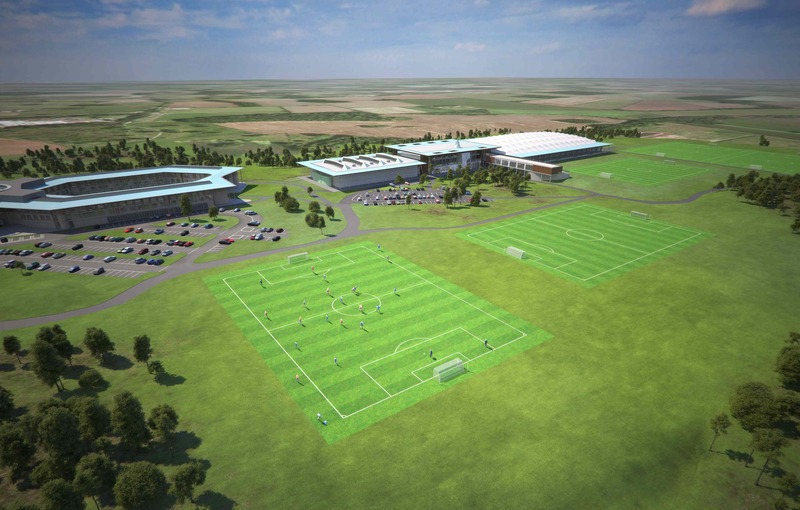 The FA will use St George's Park to train 1,200 'Coach Educators' who will, in turn, train 250,000 new coaches by 2018. This target may sound ambitious, but such ambition is critical if England are to close the gap on their European neighbours. 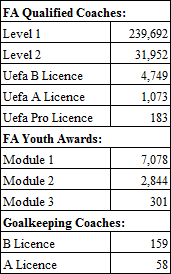 France, Spain, Italy and Germany currently boast, on average, over 10 times as many UEFA ' B' Licenced coaches as England, six times as many UEFA 'A' coaches and eight times as many UEFA 'Pro' coaches. The FA hopes that St George's Park will help redress the balance and, in doing so, will elevate the status of coaching in England so that it is seen increasingly as a recognised and respected profession. Aspiring coaches will have an increased range of courses available to them, including a new suite of age-appropriate courses to build on the new and acclaimed FA Youth Awards, already achieved by over 10,000 coaches. This new focus on youth coaching, allied with proposed changes to the structure of youth football, underline the FA's long-term philosophy towards player development outlined in their recent Future Game documents. But to develop better players for generations to come you also need to develop better coaches and St George's Park is crucial to this, as the FA's Director of Football Development, Sir Trevor Brooking, points out. "I believe the opening of St George's Park will represent a significant step change in the ability of English football to produce more and better technically-able young English footballers through the enhanced training of the current and a new generation of coaches," he writes in the official St George's Park brochure. "In turn we hope this will produce England international teams we all want to see." Brooking recognises that this is a long-term vision with St George's Park at its core, producing talented footballers and equally talented coaches and managers for years to come. That is why Sir Trevor and his colleagues on the Club England board must employ an Englishman as the next England manager. What message would it give to aspiring English coaches if, when St George's Park opens for business in August, the man cutting the ribbon is another big-money foreign signing rather than a home-grown talent? 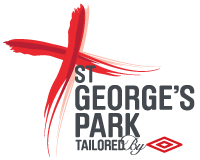 The FA needs an English coach to symbolise the start of a new era that St George’s Park represents. Harry is that man. Some might argue Stuart Pearce is a better fit and, as a UEFA ‘Pro’ Licence holder and keen student of the game, the under-21 boss and interim manager for this month's Holland game bears the flag for a new generation of coaches well. Pearce can be present as the ribbon is cut - waiting in the wings, as he will be for the top job. More long-termism from the FA. For now, the House of Stuart must play the role of general to King Henry James. As English football unites behind Harry, so it will unite behind St George. Images courtesy of the The FA. England will be brought closer to the average number of coaches in countries such as France, Spain, Italy and Germany. just 12% of the number of UEFA ‘Pro’ coaches.